You can’t just “”get over”” anxiety. In fact, the very things most people do to try to feel better–avoiding feared situations, pushing worry out of mind–only make the problem worse. Leading psychologists Susan M. Orsillo and Lizabeth Roemer present a powerful new alternative that can help you break free of anxiety by fundamentally changing how you relate to it. 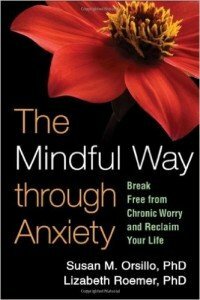 With clarity and compassion, this book describes clinically tested mindfulness practices specifically tailored for anxiety in its many forms. Learn step-by-step strategies for gaining awareness of anxious feelings without letting them escalate; loosening the grip of worry and fear; and achieving a new level of emotional and physical well-being. Purchase from Amazon or find at your nearest library. 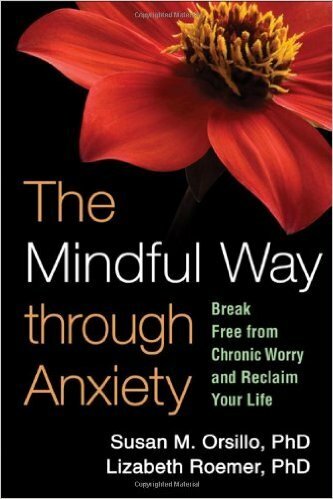 Free audio downloads of mindfulness exercises plus other resources are available at the authors’ website, www.mindfulwaythroughanxietybook.com.